1993 was a great year ! 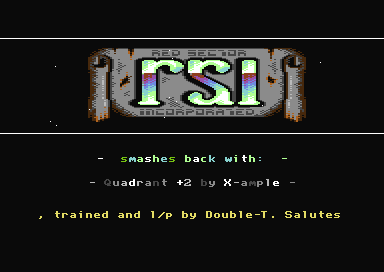 I will miss the old times...Andy,great job.Legend was shocked as they saw,that you joined RSI ! Long time ago,was a pleasure! Good to see that all this art is not lost! So much work & time.. I supplied this group with some originals for a while (with the odd crack/training also) so if any of you guys still alive holla me back..